Rusty DeLoach is a Great Guy! Christie Benson was on top of everything! "Christie was on top of every development during the sale of our home & purchase of my wonderful new home. She always operated in my best interest. I could not have asked for more." "Christie was very patient with us. When we wanted to quit looking for about nine months and then started looking again." Lori Manning was very professional! "Very professional and well informed and very knowledgeable in real estate. Enjoyed working with her." Lanny & Vickie Harris are amazing to work with! "Lanny & Vickie are amazing to work with! They sold our house quickly, and gave us a great recommendation for a builder. We could not be more pleased with our experience." Terry Williams was a pleasure! "Terry was a pleasure to work with. He represented us well in both the selling and buying transactions." "Linda is an excellent real estate agent." "Beth & Steve Gwinn were very patient with us. They took the time to help us find the exact house we were looking for!" "Terrific experience with Jan, we will definitely recommend her to our friends and family"
"Beverly Farrar has been outstanding in all previous transactions as well as this one. She has sold several houses before and always pleased with her performance and recommendations"
"Jan was above and beyond our expectations. We enjoyed working with her so much!" "We absolutely loved Janis!! She was so flexible to our needs! We will definitely recommend Janis!! :)"
"Bill did more than I expected to satisfy me with my purchase!" "Lanny Harris was patient and understood our needs. His honesty is unquestionable!" The Tony Lloyd Team did an excellent job! "The Tony Lloyd team did an excellent job, Andrea was well prepared for everything and had an answer for all of our questions"
"Rusty was amazing! Loved having the opportunity to work with him and having him be a part of the purchase of my new home!" "Lanny went over and above all expectations. His wife Vickie also helped me find used appliances to put into this rental unit. They are outstanding agents"
Gena Forehand was a very special person! "Gena was a very special person in helping us find our home. She went above and beyond what she needed to do for us. We have a friend and not just an agent." Jan Alexander was great to work with! "Jan was great to work with and understand what we were looking for. She gave great input and worked hard to find a house to meet our needs and exceed our expectations." Kelley Elliott was a real pleasure to work with! "Kelley was a real pleasure to work with. She was very professional and accommodating." Jan Alexander was very helpful! "Jan was very helpful during the whole process! She made us feel at ease and helped us so much. When we bought our first home we were so thankful for her and all of the hard work she did for us! Thanks so much!" "Nan is great, she has bought and sold four houses for me and I wouldn't use anyone else!" Lanny Harris is an outstanding gentleman! "We've known Lanny and Vickie for many years, he is an outstanding gentleman." "Rich was very outstanding in meeting our needs. 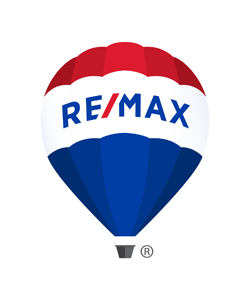 We were very satisfied with both Rich and RE/MAX Lubbock"
"Our RE/MAX Lubbock agent Randy Mulsow was very professional and did everything to meet our needs. He went above and beyond. We will definitely recommend him to future home owners. Thank you Randy and RE/MAX Lubbock." "Rich was great and worked so well with us being out of town!" "Rich was fantastic at helping us find the perfect home for our family, then helping us receive financing for it!" Kristi Lowe was the awesome!! "Kristi was the most available, thoughtful, patient, awesome, Rock Star agent of all time!" Mary Ann Grafft is an awesome agent! "Mary Ann is an awesome agent :). She is pleasant, good listener and FUN to do business with. I would recommend her!" "Lori was great, I could use her again and recommend her to friends and family"
"Steve and Beth did a great job of finding homes to suit the needs and wants we had. They worked hard around the clock to help us with finding our home!" "Kristi was exceptional and thoughtful the entire process. She always made herself available to answer questions & represent us. Her work ethic, knowledge, and courtesy were all assets that sold our house very quickly."